Oliver is one lucky little hombre. He wasn’t drawn once, but five times to hunt various state parks and Wildlife Management Areas (WMA). In Texas over 700,000 acres are divided into 47 different WMAs. Controlled by the Wildlife Division of the Texas Parks and Wildlife, these acreages are representative of nearly all ecological regions in Texas. Biologists use each area to study wildlife. The public can use it to hunt, and that’s what Oliver did. The Las Palomas WMA, specifically the Arroyo Colorado Unit, is in a region known as the “brush country” of south Texas. It is a veritable sea of thorns. I’ve hunted in it before, but this area is a little wetter. There is abundant wildlife due to the large amounts of cover and food. Further west water is a rate limiting factor, but not here. Cameron County has these things called resacas. Either coming from a contraction of rio seca meaning “dry river” or from resecar meaning “to dry out”they are naturally occurring diversion channels off the Rio Grande. Except they are usually dry. The brush around the resaca is dense and blood thirsty. It’s not hard to imagine the blood shed when old General Zachary Taylor fought his disorganized and bloody battle in the Battle of Resaca de la Palma against Mexican General Mariano Arista on May 9, 1846 in the Mexican American War. The picture shows where we hunted and the aerial photo was taken during much wetter time. and a whole lot more. A scorpion visited us, fiddler crabs burrowed just outside the door to the blind, and we almost ran over a blue indigo snake. The success of this hunt started with my efforts back home. I applied to as many hunts as possible in the “youth” category boosting our shot at getting drawn. It will make for a lot of travel, but I dig travel hunting. When we arrived Jimmy guessed it was us despite having not met. He went through the rules and regulations, assigned our blind, off we went. A nice fella close to retirement named Alex took us to the blind and got us tucked in. This is the view of the blind from where I spread a little extra corn. A circle of corn, hopefully to attract a whole herd of collared peccary, aka Javelina. I’ve been bear hunting, I’ve chased elk, and I kill a bunch of birds, but this is by far my favorite hunt to date. . Earlier I made up scenarios of a javelina coming from the left, right, behind us, etc. 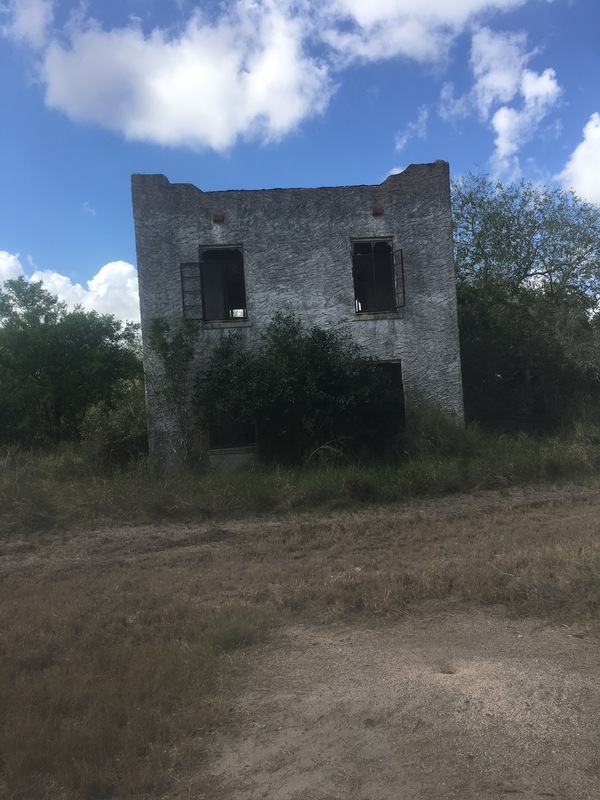 We decided this old structure was haunted. TPWD has a nice cleaning station, and the guts are just thrown over to the alligators in the arroyo. But don’t fall! We drove back to the check station and they guys thought something went wrong, because we were back so quickly. Nope things went really well. A couple of admirers came and offered up there opinions and congratulations. 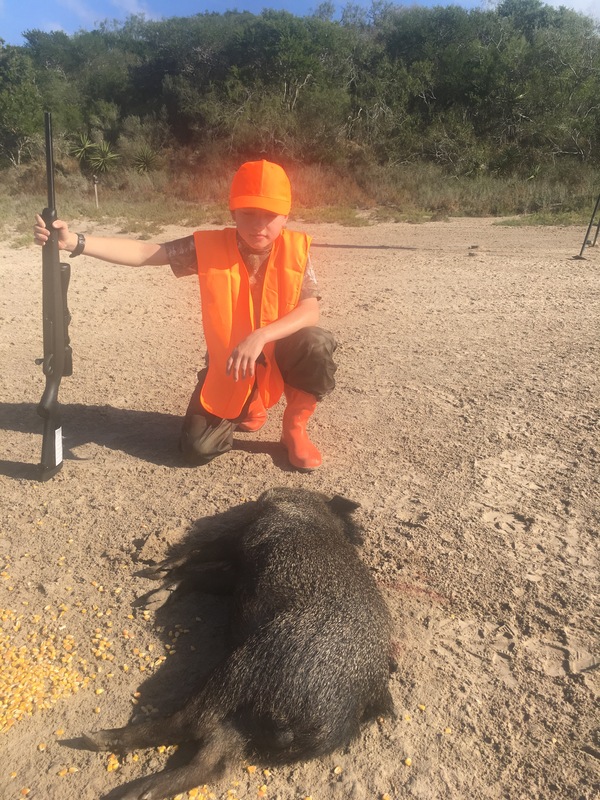 Next weekend we are hitting the Chaparral WMA looking for some more javelinas, a fat doe, and possibly Pumbaa. Stay tuned. Hey, welcome back. You were literally just down the road from us in Cameron County! Glad the hunt was a success. 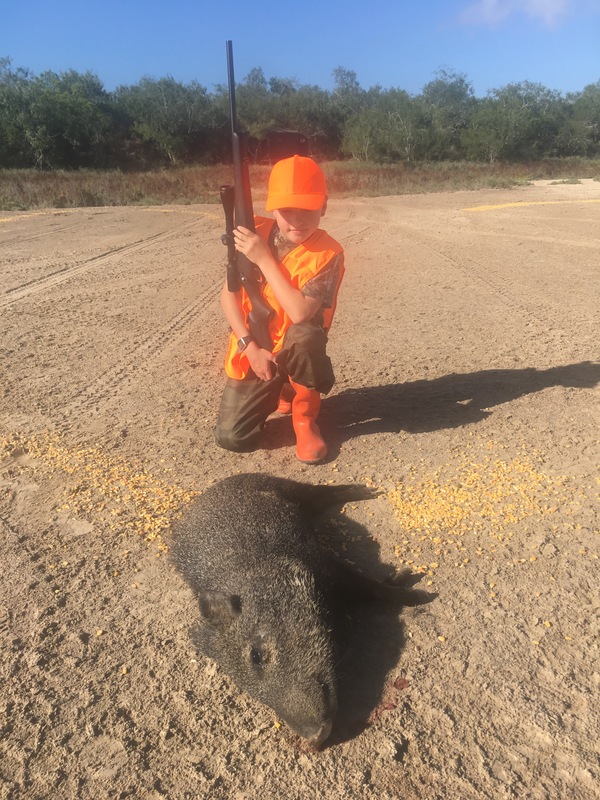 Tell the Javelina Slayer “Congratulations”! Do you have any recipes? I’ve never eaten javelina before. You’ll have to share. I’m pretty excited that I’m going to have a chance to attend a Hank Shaw event in San Antonio on Wednesday. Gonna be there? Sure, I’m going to make a few things from it and will post the results. I saw his event, and I am fully jealous of you. It will be a fun and yummy event. Just started following. Great blog! So…I guess there absolutely ARE alligators in the Arroyo Colorado. My son and I are going in December; he won a lottery archery hunt from Texas Parks. While he hunts, I’ll be RVing in a very small Scamp at Adolph Tomae Park, and was wondering what else besides snakes, bobcats, and mosquitos I need to watch out for. #WestTexasWoman ~ we didn’t have ‘gators there! Thanks! We really enjoyed our hunt.